March 7, 2006 Gordon Roger Alexander Buchanan Parks, photographer, musician, poet, film director, and activist, died. Parks was born November 30, 1912 in Fort Scott, Kansas. He bought his first camera at the age of 25 and began to work as a freelance portrait and fashion photographer. In 1941, an exhibition of his photographs of Chicago’s South Side won him a fellowship with the Farm Security Administration. After the FSA disbanded, Parks photographed fashion for Vogue Magazine and in 1948 became the first African American to work at Life Magazine, where over the next 20 years he produced photos on fashion, sports, poverty, racial segregation, and celebrities. A self-taught pianist, Parks composed “Concerto for Piano and Orchestra” (1953) and “Tree Symphony” (1967). In 1989, he composed and choreographed “Martin,” a ballet dedicated to Martin Luther King, Jr. In 1963, Parks wrote “The Learning Tree,” which in 1969 he adapted into a film of the same title, making him Hollywood’s first major black film director. He subsequently directed “Shaft” (1971), “Shaft’s Big Score” (1972), and “Leadbelly” (1976). In 1997, the Corcoran Gallery of Art mounted a career retrospective on Parks, “Half Past Autumn: The Art of Gordon Parks,” which has been exhibited at a number of museums, including the Norton Museum of Art, the Oakland Museum of California, and the Detroit Institute of Art. In 1972, Parks was awarded the NAACP Spingarn Medal. 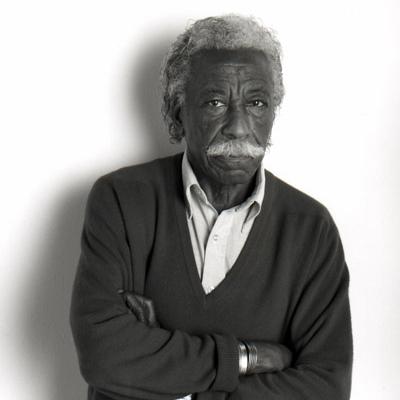 In 2008, an alternative learning center in Saint Paul, Minnesota was renamed Gordon Parks High School. A number of books have been published about Parks, including “Gordon Parks: Black Photographer and Film Maker” (1972), “Gordon Parks: Photographer, Writer, Composer, Film Maker” (1993), and “Gordon Parks: No Excuses” (2006).